This is a Mobile marketing service providing buyers a platform to text real estate listings to a prospect's phone and get immediate information 24/7. *Directional Arrows- These help guide and increase traffic to your property. *Enter the information and pictures in our Multiple-listing service which is sent to over 100+ Realtors Southern Oklahoma. This information will also be sent to buyer's which have opted to utilize our immediate automatic email notification service. This feature allows listings to be sent to multiple buyer's that are searching for specific properties. 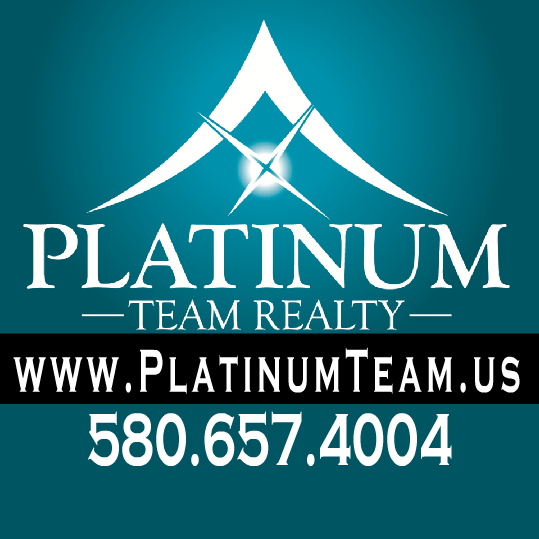 *Your listing will be sent to nationwide websites, www.Realtor.com (http://www.Realtor.com), The Facebook Page Platinum Team Realty Inc. and multiple Facebook group sites, twitter, Instagram, several stand alone advertising sites, WWW.PLATINUMTEAM.US (http://www.PLATINUMTEAM.US). Zillow, Trulia, Land Of Oklahoma. and Many More, List Hub Syndication to over 80 Websites. -The internet response is overwhelming. Approximately 90% of buyer's look for properties on the internet! 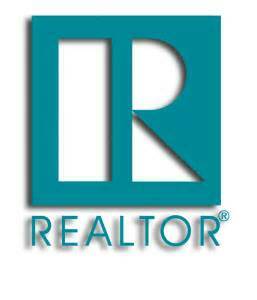 Platinum TEAM Realty is also a member of "IDX" Instant Data Transfer. This allows several other offices to advertise your property and sell it earning a 2-3% cross sale commission. After All, the main goal is to SELL!!! *Keep records of the showings and then follow up with agents/potential buyers seeking feedback and comments. My marketing plan includes a heavy focus on internet advertising. According to the National Association of Realtors “While traditional methods like yard signs and open houses are still popular, more than 90% of buyers found the home they would purchase online.” Some of the techniques I use will include top notch photo editing software, virtual tours, drones if needed, and Facebook ads all at no charge to my clients. by anyone who views them! These ads expose properties to thousands of people at no additional cost to you! For market value we look at homes in your neighborhood that have sold within the past 6+ months and compare them to yours. What price did the other homes sell for? How long did it take them to sell? Is your home in a better location than the properties that sold? Is your home in a better condition? Asking these questions and more will help us price your home right in today’s market. As the Broker/Owner of Platinum Team Realty Inc., I appreciate the opportunity to work FOR you on marketing and selling your property. I take my job very seriously and therefore, will make every effort to market your property in the best way possible! I encourage you to check out our reviews and ask around about our team. Reviews can be found on our Facebook and Zillow Pages. 2. Information and opinions.REALTORS® can provide local community information on utilities, zoning, schools, and more. They’ll also be able to provide objective information about each property. A professional will be able to help you answer these two important questions: Will the property provide the environment I want for a home or investment? Second, will the property have resale value when I am ready to sell?
? Provide the post office with your forwarding address two to four weeks ahead of the move.
? Notify your credit card companies, magazine subscriptions, and bank of your change of address.
? Create a list of friends, relatives, and business colleagues who need to be notified about your move.
? Arrange to disconnect utilities and have them connected at your new home.
? Cancel the newspaper, or change the address so it will arrive at your new home.
? Check insurance coverage for the items you’re moving. Usually movers only cover what they pack.
? Clean out appliances and prepare them for moving, if applicable.
? Check with your condo or co-op about any restrictions on using the elevator or particular exits for moving.
? Get copies of medical and dental records and prescriptions for your family and your pets.
? Get copies of children’s school records for transfer.
? Ask friends for introductions to anyone they know in your new neighborhood.
? Consider special car needs for pets when traveling.
? Let a friend or relative know your route.
? Empty your safety deposit box.
? Put plants in boxes with holes for air circulation if you’re moving in cold weather. Would you like to find out what your home is worth from a professional ArdmoreRealtor? Click here to receive a free home valuation.